Did you know that October 11th was declared by the United Nations the International Day of the Girl? 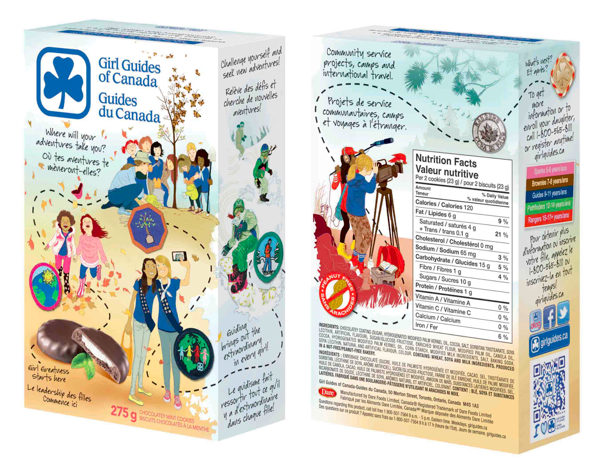 The girls of the 24th Brownies commemorated this event by participating in Girl Guides’ International Day of the Girl Postcard project. To read more about the day and this project, click here. Below is a gallery of the girls’ postcards explaining why the world needs girls. Way to go, Brownies! 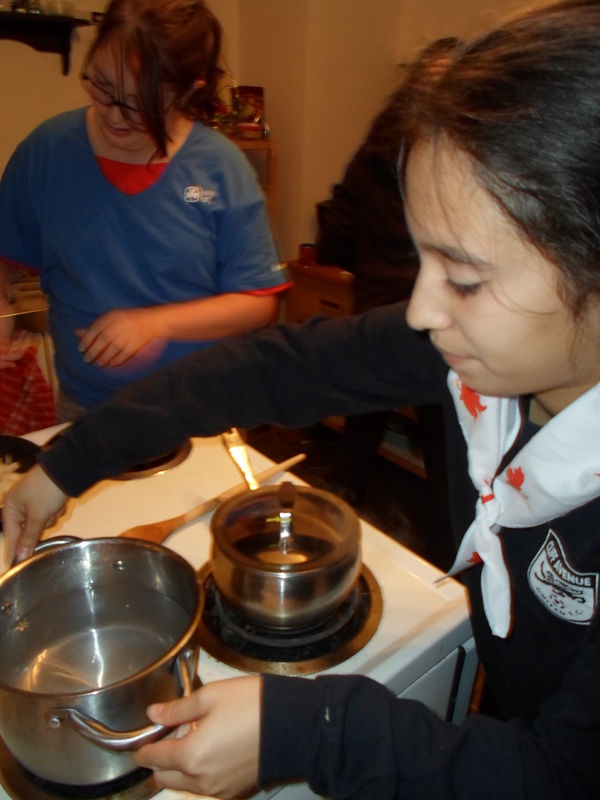 The 1st Sparks recently enjoyed a sleepover at Richmond Guide House. The theme was a movie pajama party where the girls watched Disney’s Tangled. They had pizza and popcorn, and did a craft themed to the movie. 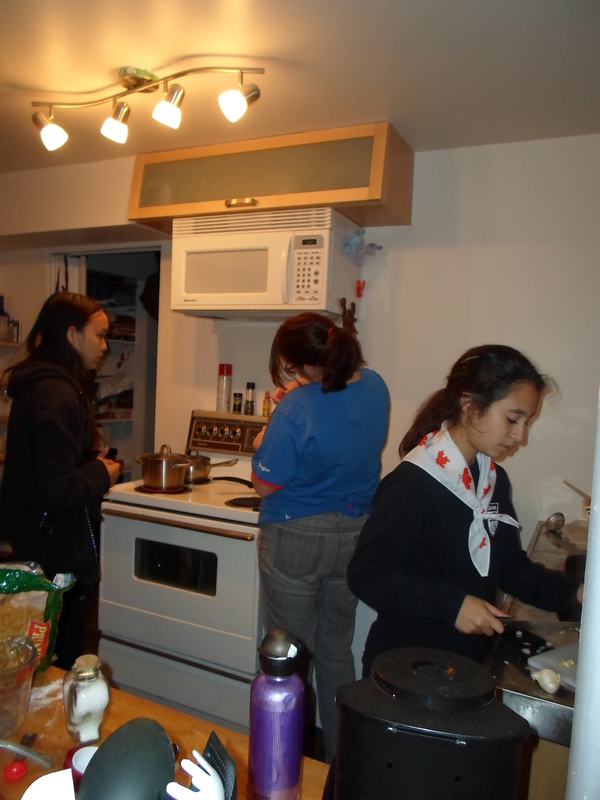 It was a great chance for the girls and leaders to bond early in the year and to have a great time. The craft was to make Rapunzel hair. 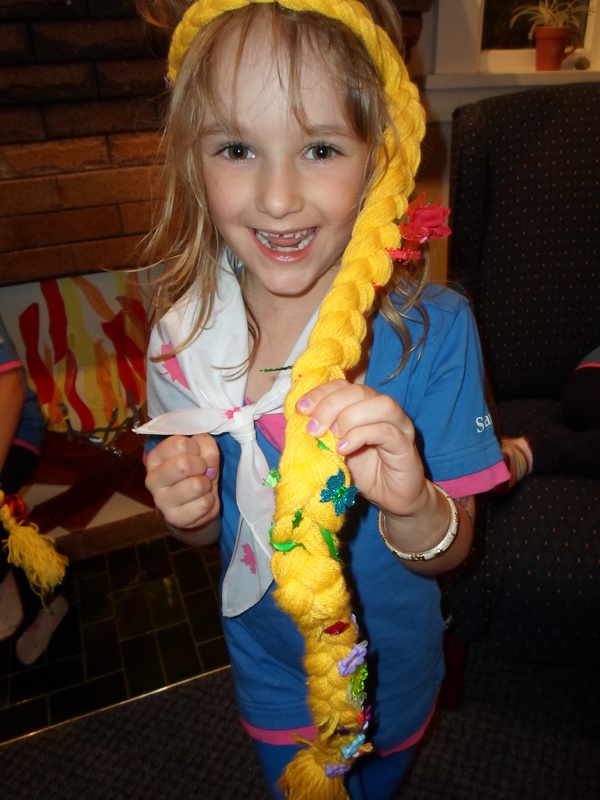 Each girl was given a long braid that they could decorate with clips, flowers, ribbons, and butterflies… just like the part in the movie where Rapunzel gets her hair decorated. The craft turned out great! Then the girls went into the “movie theatre” — a room in the house where a projector played the movie on a big wall, just like really going to the movies. After the movie the girls went to sleep. The leaders are thrilled to report that the girls were very well behaved and slept really well… for a sleepover, anyway. One of the highlights of a sleepover like this is seeing some of the shyer girls grow in confidence as they get to know new friends and feel more comfortable in the group. By the end of the event quiet girls were speaking up more and girls who would normally be a little nervous or hesitant were jumping right into the action. It’s amazing what an activity like this can do for the confidence of a young girl — for many of these girls it was their first sleepover ever, and it was a really great experience. 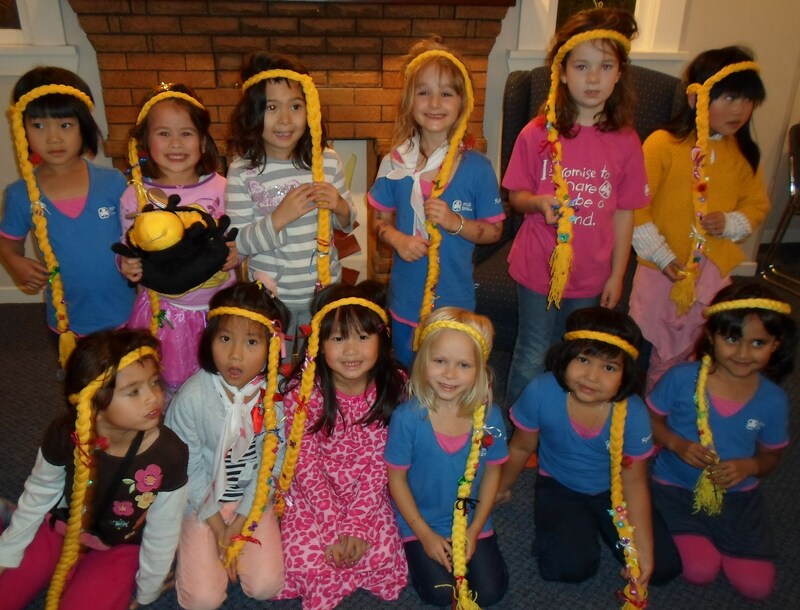 To get the year off to an awesome start, the 54th Brownies had a sleepover in September. 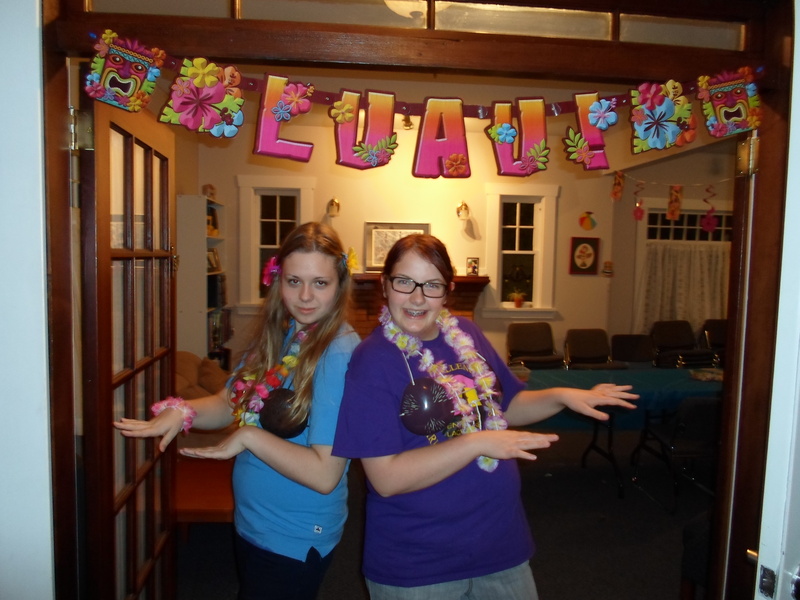 It was themed like a Hawaiian luau! Heritage home Richmond Guide House was decorated to become to newest Hawaiian island. 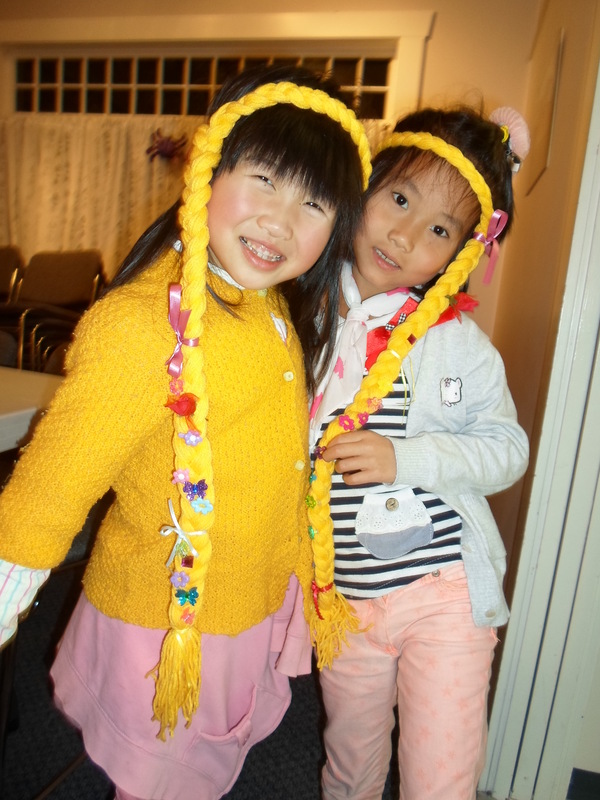 Girls were greeted by leaders with leis and went on to make their own floral hair pieces. 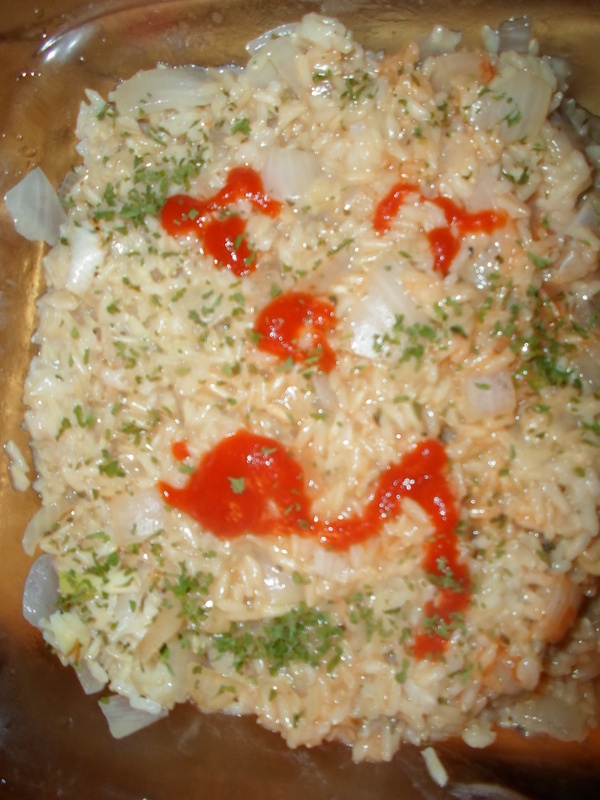 After a pizza dinner (you guessed it, Hawaiian flavour!) 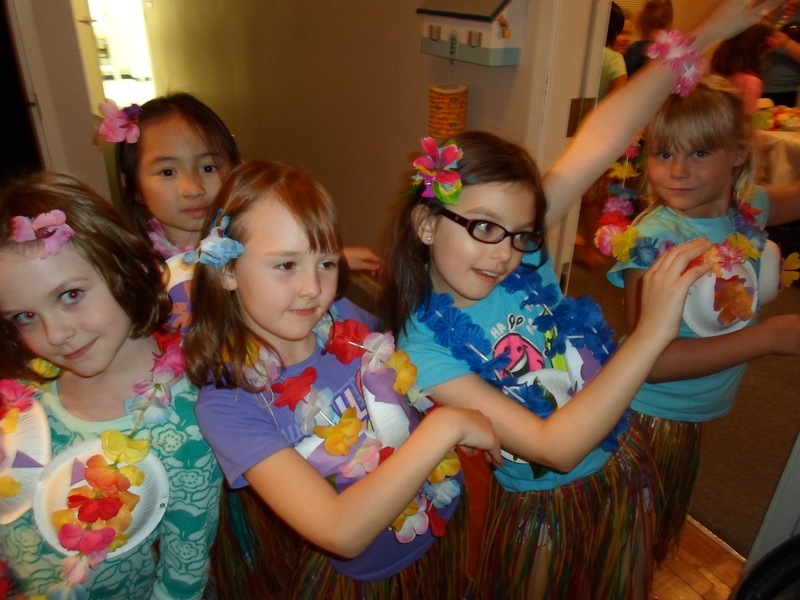 the girls made their own coconut bras and donned grassed skirts. Once they were all outfitted, it was time to dance! Hula style, of course. 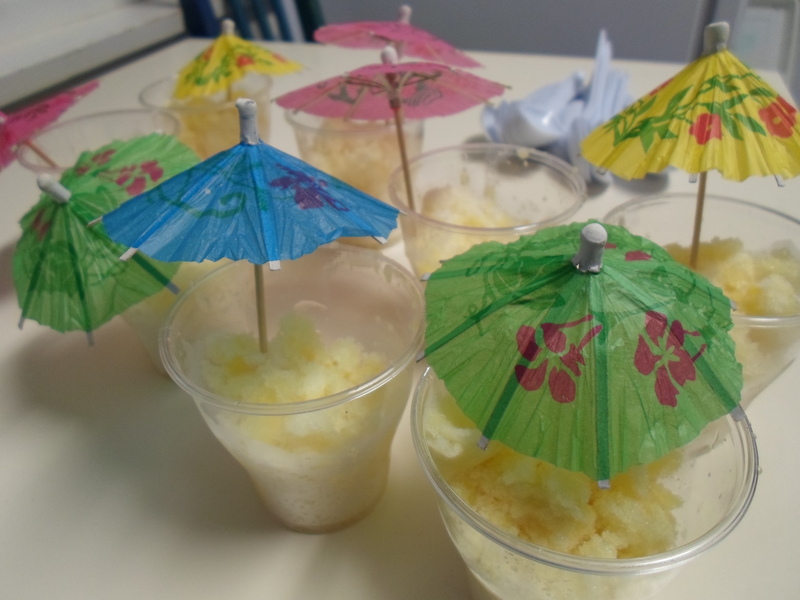 The night time snack was pineapple ice — a delicious treat made by freezing pineapple juice and grinding it through a snow cone maker. A big thank you to all the leaders and Rangers who made this event possible. The girls had a great time!